Not to complain, but . . .
My life is alternatively either very hectic or completely focused on one extremely stressful project to the exclusion of everything else. Deadlines determine which phase I am in at any given time. For most of my adult life I have been a book editor. It's been my joy for the past 25 years to edit most of John MacArthur's major books, starting with The Ultimate Priority, which I began in 1981 and took about a year to assemble and edit. People often ask about the process. I start with sermon transcriptsverbatim records of what John said in a sermon (or a series of sermons, or a collection of various sermons that are topically cross-linked). I translate that material from spoken English to written English. This involves a rather exhaustive process of rewritingmainly to shorten sentences, simplify and clarify sermonic expressions, make the logic and readability as smooth as possible, and remove the kind of redundancies that are fine (and even crucial for proper stress) in a sermon but bad form in writing. Sometimes I rearrange material or borrow bits and pieces from multiple sermonswhich necessitates lots of new transitions. I also remove extraneous material, such as recapitulations of material from last week's sermon; unusual rabbit trails; digressions into related but different topics; comments and exhortations that apply to the local congregation but aren't necessarily appropriate for a reading audience, and things like that. I check the accuracy of all quotations and find precise documentation for them. I substantiate and document all facts. And I get statistics and other specifics to eliminate generalizations. Oh, and I also try to make sure grammar and spelling are spotless, conforming everything as much as possible to the guidelines in the Chicago Manual of Style (the authoritative style guide used by most American book publishers). John MacArthur takes the manuscript I produce from his sermons, and he edits it exhaustively. Sometimes, he'll supply new illustrations. Sometimes, he'll totally reorganize material. He might rewrite a few transitions, tone down an expression here and there, turn up the volume on a salient point, delete anything that strikes him as redundant, or whatever. (He does all this by hand with a classy fountain pen in a nearly-illegible kind of printing. I have never known him to use a computer.) His marked-up copy comes back to me and I insert his changes into the electronic manuscript and do a final polish and edit. We normally exchange several chapters at a time this way, so I'm constantly working on two or three sections of the book all at once. It's a long and exacting process, much more labor-intensive than simply writing a book from scratch would be. But if I wrote my own book, it would be nowhere as good. MacArthur's material is thorough, rich, and always fresh. He has an impeccable instinct for knowing what to say and how much stress to give this or that point. The biggest problem I usually face is deciding what to eliminate from the original sermons. Because the publisher usually wants a 250-page book, and I'll typically start with something close to 1600 pages of sermon transcripts. So you get an idea of the magnitude of the task. After the first three or four books I helped assemble like that in the 1980s, I became pretty efficient with the process, and for several years running, I was usually able to get a major book from sermon transcripts to final manuscript in about 3 months' time. But that was back when I had the mental acuity to work 18-hour days with no problem. Nowadays, in addition to keeping an eye on my duties at Grace to You, I'm co-pastoring a group of 500 people at Grace Church and occasionally speaking at conferences and whatnot. I wasn't doing those things in the 1990s. 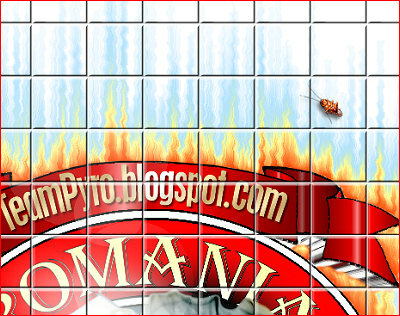 Longtime readers might remember that the original PyroManiac blog was launched last year just days after I finished editing Twelve Extraordinary Women. Then I took a blogbreak in October to edit The Quest for Character. The cycle never ends. 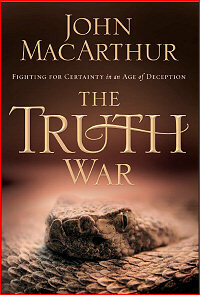 When I made the shift to a group blog back in January, it was largely in anticipation of a coming deadline for John MacArthur's next major book, The Truth War. At the time, I assumed I'd be finished with the book by April 15 at the very outside. It turned out to be a much more difficult project than I anticipated, and I just sent the final manuscript off to the publisher last night. So that's a major source of stress off my shoulders. I have several urgent things to do now. (Lots of stuff backed up while I was focused on the book. It'll take at least a week to do them all.) But after that, I'll be back in a more normal routine and blogging like old times, I hope. The Truth War is going to be a powerful, and very controversial, book. Actually that may be a huge understatement. It is without question the most provocative book John MacArthur has written since The Gospel According to Jesus. It deals in no-holds-barred fashion with "postmodern evangelicalism," the Emerging Church, the deliberate dumbing-down of theology, and the trivialization of everything sacred. The book's starting point is Jude's famous mandate to contend earnestly for the faith because false teachers have crept into the church unnoticed. MacArthur traces the history of the long war against the truth and shows why the threat is so serious at this particular juncture. He says some things that might shock readers accustomed to the milder and more genteel tone of this blog. 'Nuff said. The book is scheduled for release from Thomas Nelson next spring. When we get closer to the release date, I'm going to start posting short excerpts at the PulpitLive blog. Brace yourself. As I said, I have let a few things back up that now require my urgent attention. I hope to be back on schedule within a week or two, and back to blogging in earnest shortly thereafter. In the meantime, I've added to the sidebar clutter by putting a box that I can update every few days or so to keep my friends perpetually updated on the vital question of Where I Am Right Now®. I'll usually make updates without comment, but I wanted to make an all-purpose disclaimer that covers everything you'll ever see in that box: The fact that I read a book, listen to something on my iPod, or otherwise link to any source in that space is not to be construed as an unconditional endorsement of anyone or anything. The sidebar box just tells you what I'm reading, listening to, watching, or being bemused by. For example, Ann Coulter. The girl clearly has serious issues, and one of them has to do with the credibility of her "profession of faith." I'm not sure she is the best qualified person to take the American left to task about their spiritual shortcomings. I find her trademark trenchant style alternatively amusing and annoying. But she does make some valid observations in an always-interesting way, so I am reading the book. What I read and what I endorse are not always equipollent. So just in case the next book I read is Richard Foster's latest, something by Lesslie Newbigin, the sequel to Blue Like Jazz, Mein Kampf, or whatever, I'm not going to add another more emphatic disclaimer every time. If you see I'm reading a book or listening to something you think I ought to disagree with, chances are I do disagree with it. I read lots of stuff I disagree with. If I disagree strongly enough, and if circumstances seem to warrant it, I may blog about why I disagree. But if I don't, please assume that this all-purpose disclaimer covers it. Maybe one of these days I'll devise a color scheme to signify which books I hate, but until I have actually read them, I can't really say if or how much I hate them anyway, can I? I am looking forward to the book release, and am glad you have finished it. I too hope you can get back to blogging as usual. No offense to the other Pyros. Phil, thanks for the inside info on this process and the heads-up on the book. I can't wait to read it! So, when will TMS hand you an honorary doctorate for your labors? I still want to know who is going to write Dr. MacArthur's biography. A: Looking forward to John's book. Being a writer/editor myself, I know it can be lots of fun editing another's copy. But John's books are worth it. I don't know why #10 should be offensive to anyone, but you never know, so I threw it in to be safe. Follow this advice, and you should be relatively complaint free. He says some things that might shock readers accustomed to the milder and more genteel tone of this blog. You officially have my attention. You talk about editing out the rabbit trails, and this makes me sad. I know they have no place in a book that is supposed to stick on topic (this isn't Herodotus, after all), but those rabbit trails of his were sometimes the highlight of my Sunday. And sometimes they would become the highlight of my Several Weeks as an interesting subpoint in a passage would suddenly morph into a full series. I loved that - it was like going digging for gold in the scriptures and coming up with a diamond. Phil could you make a goody box full of apologetic material one day? or a forum place for us to go request or exchange such material. Maybe call the box or the link "Go Fish" where we enter in and say, "gimme all your JW stuff, or gimme all your ultradispensational stuff and if someone does not have any of those items then they reply back "Go Fish" something like that. Well of course you wouldn't want just anyone giving such material out. And you wouldn't want everyone downloading what they had less it be lame or poisonous. thinking out loud... so you would have to police this and decide who could give out and who could supply the site/box. Just what you needed more work. But you could delegate? Thoughts? I'm curious as to who you think might be scandalized by MacArthur's new book - I thought the controversy of "The Gospel According to Jesus" was in relatively close and similarly conservative circles (i.e. the DTS crowd at the time). Even the Charismatic Chaos book challenged people within his circle of influence. Is there such thing as a "postmodern" leader, ministry or congregation within his circle of influence? Are there a host of people (enough to generate controversy), who care about anything MacArthur says and at the same time fancy themselves "postmodern"? It seems as though those who embrace postmodernism won't be reading it (or even aware of it) and those who reject it won't be scandalized by it. In any case, controversial or not, I'll probably be buying a copy. Godspeed on the editing (your labor is not in vain - 1 Co. 15:58). Your description of the editing cycle sounds almost like a dream job to me. You raised kids on 18-hour work days? Wow! Re: Ann Coulter. The girl clearly has serious issues, and one of them has to do with the credibility of her "profession of faith." Umm ... I know she's not a Baptist, and her word choices are sometimes ... impolite. Since I have no information about her life other than what she's written (I just finished How To Talk To A Liberal (If You Must)), I was wondering about what confirmed public knowledge you have that calls the credibility of her confession into question. Not every Christian is a Baptist, after all. Moorhead: "So, when will TMS hand you an honorary doctorate for your labors?" I don't think they hand out honorary doctorates. They especially would not give one to anyone whose sole claim to fame is he just rewords someone else's material. That's what they tell their students not to do. But here's the clincher: Someone posted a Wikipedia entry about me last year. It was summarily removed by Wiki admins recently, on the grounds that I am not "notable." My 15 minutes are up, it seems. I removed the dust jacket from Ann Coulter's book cover for that very reason. I realized that would be my last-ever college paper and was so thrilled to have met the last due-date for a writing assignment ever, and so convinced I would never have another big writing project that I got rid of my electric typewriter. I hear you, but the rabbit trails don't work in books. It often grieves me to edit out some of the stuff I have to edit out. But it must be done. Ask any reviewer. As Tim Challies. Fortunately, the actual sermon recordings are all available cheap. I have a link to James White's website. What more could you ask for? Raja: "I'm curious as to who you think might be scandalized by MacArthur's new book." Stop feeding me setup lines. I'm not going to bite. I also don't want to reveal details of the book prematurely. The publisher hasn't even had a decent chance to look at it. Several more editors will all have a go at it between now and Christmas. I'd rather wait till the publisher's final edit is complete before posting excerpts or getting into a detailed description of what's in the book. 1. I wasn't suggesting that postmodernism is the book's sole target. It's one of them, though. 2. 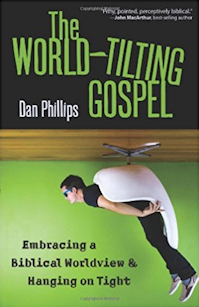 More than that, however—the book is a pretty serious indictment of the whole evangelical subculture. 3. Lots of people who say they don't 'fancy themselves 'postmodern'" are scandalized by any and all criticisms of postmodernism anyway. A few of them hang about here and post annoyed and annoying comments from time to time. 4. Trust me: lots more people do read MacArthur's books than those who are already inclined to agree with him. 5. Between you and me, knowing your perspectives on some of the issues MacArthur is dealing with, you probably shouldn't expect to feel totally "affirmed" by this book. That wasn't a set up line, I just wanted to know what you meant by saying it would be "controversial". Was Deborah ever under consideration for one of the 12 most extrodinary women? You don't love Ann Coulter? You know how I feel about leggy blondes with a sharp tongue. Well, at least one. There needs to be a campaign, btw, to get Phil a decent and un-purgable wiki. see, thats all he's got. Raja: I just wanted to know what you meant by saying it would be "controversial". kont rah VERS ee ul 1 Subject to controversy; forming an object of debate, disputed; loosely about the merits of which opinions are divided. 2 Of or pertaining to controversy; polemical. David: "Was Deborah ever under consideration for one of the 12 most extrodinary women?" Not seriously. We started with a list of about 25, knowing we needed to cut it down to 12. Because the cumulative aggregate of all the information about the great women in Scripture has such a clear Christocentric focus, we chose 12 women who would best magnify that theme—women in the Messianic line, women whose life story reflects a strong messianic expectation, etc. Deborah wasn't in the top 12. Are you familiar with Anton Hein's Apologetics Index? Since this is just between "you and me", I should probably respond to your insinuations that I'm a pomo by saying that I do believe that we can know what texts mean have grave problems with postmodernism, and I think pomoism is passe and of limited value as a critique of over-confidence and methodological naivete. And I appreciate MacArthur even if I don't always agree about everything - I certainly can't say my confidence in ministry comes from his affirmation (1 Co. 4:1-5). I was asking about the illocutionary, not the locutionary force of the word. Whoa - I just annoyed myself there. Does Scripture tell us what the Gospel is? See -- I think answering that question would cover a lot of ground in the debate over whether you're an advocate of pomo or not. What it wouldn't do is see if you affirma creed or confession -- what it would do is demonstrate what you think Scripture is good for. At the heart of the debate over pomoism, that's the foundational issue: is Scripture good for anything, and if so, what? I look forward to your reply on that matter as it will provide the foundation for any other agreement or disagreement over who advocates what. Thanks for that site I will pursue there. Looking forward to buying a copy of John's book. It's amazing he doesn't use a computer to write his books. Thanks for sharing about your work. It blows me away. I never realized there is so much involved in your line of work. Incredible. I'm so unfamiliar with that industry. Thanks again for sharing. Raja: "I should probably respond to your insinuations that I'm a pomo by saying that I do believe that we can know what texts mean have grave problems with postmodernism, and I think pomoism is passe and of limited value as a critique of over-confidence and methodological naivete." Right. You're a post-pomo. I knew that. That's the really cool thing about postmodernism: you get to deconstruct everything (including postmodernism itself) and you never really have to affirm any actual propositions. You can just keep being post- whatever-is-being-critiqued-by-someone-else, and simply blow off the critics as methodologically naive. Scripture unequivocally, unalterably, and unapologetically tells us what the Gospel is, and it can be known with absolute certainty. Whole cultures, with all of their distinctiveness, must repent, be modified, adapted and shaped around it, not the other way around. Give me a BREAK - If I wasn't FOR anything I woulnd't be doing what I do for a living. Download a sermon and listen to it, and then tell me how you can say "I don't affirm" anything with any integrity. What's the Gospel as Scripture describes it? I forgot to point out, Phil, that "deconstruction" as per postmodern literary theories doesn't mean "take apart", "over-analyze" or "criticize" or whatever you may have wished it to mean in your appraisal of me - it is the process of uncovering the manipulative and traditional interpretations of a text by demonstrating its semantic instability of the text itself. All that to say that your statement: "That's the really cool thing about postmodernism: you get to deconstruct everything (including postmodernism itself)" doesn't really make sense, not just in application to me, but in general. And no, I'm not a deconstructionist (or a post-structuralist, more generally) - I think its rather yucky. "Now I make known to you, brethren, the gospel which I preached to you, which also you received, in which also you stand, 2 by which also you are saved, if you hold fast the word which I preached to you, unless you believed in vain. 3 For I delivered to you as of first importance what I also received, that Christ died for our sins according to the Scriptures, 4 and that He was buried, and that He was raised on the third day according to the Scriptures, 5 and that He appeared to Cephas, then to the twelve. 6 After that He appeared to more than five hundred brethren at one time, most of whom remain until now, but some have fallen asleep; 7 then He appeared to James, then to all the apostlesand last of all, as to one untimely born, He appeared to me also." Throw in Mark 1:14-15 too. Looks like Wikipedia suspects you of making a "vanity entry." If there's one thing you're incontrovertibly not guilty of it's being vain. Maybe if I sent them some of the pictures we have of you they'll reconsider the deletion. Freeland: Just be careful what you do with those pictures. I have my own album of family outtakes, and you are in it here and there. I'm pretty sure you don't want to get anything started. Didn't Cent already do this? The description of the technical process of rendering sermons into book form was interesting. 1- Who gets the copyright credit for Mr. MacArthur's books? Typically, this credit goes to the primary author, with editorial credit given where appropriate. After reading this post, I dug up a book I have. It was titled "If with all your heart", and was written by Roy McClain. Now, Mr. McClain was the pastor at First Babtist Church of Atlanta ( the one before Charles Stanley). Up until the time I was seven, that was our family church. When i saw this book in the free box at a yard sale, I grabbed it. I looked through the various title pages, and saw no reference to an editor. However, the copyright was issued to "Fleming H. Revell Company". I found this rather curious. 2- It would seem to me that editing is editing, whether it is a Christian text, a political tract, an instruction manual, or any other form of non fiction. Does your Christian perspective ever come into conflict with the Chicago Manual of Style? How do you resove this conflict? 3- At another used book sale recently, I found a copy of the Bible, in a modern translation. The cover of the book had the word "God" in big letters where the authors name would normally go. However, the copyright was issued to the organization that did the translation. Looking forward to MacArthur's new book. Being a writer myself, this whole editing process sounds grueling, but worth the sweat. God bless you. Just a word of thanks for your work. I have benefitted greatly from all those books you have editied. I thank the Lord for John, you, GTY, and GCC. The body of work has had an impact in the world for God's glory. I ran across some posts on the subject that weren't too bad. Chamblee: "Who gets the copyright credit for Mr. MacArthur's books?" Unless a particular church executes an agreement in writing to the contrary, any pastor's sermons remain his own intellectual property. (Same principle that applies to a college prof's lectures.) So MacArthur owns the copyright to his sermons, and that extends to derivative works, including books. He is the actual author, because he developed the material. My work is editorial, not authorial in nature. "Does your Christian perspective ever come into conflict with the Chicago Manual of Style?" Good question. Not in any significant way I can think of offhand. I can imagine instances where the Manual's guidelines about capitalization, gender neutrality, or similar issues might clash at some level with what I believe. But almost every publisher has special in-house style sheets that allow specific exceptions to the Chicago Manual's guidelines. A publisher of books about Aeronautic Engineering, for instance, might have a long list of spelling and abbreviations related to the jargon of that industry, and their house rules might not agree with the Chicago Manual in every respect. At Moody Press, we had our own list of abbreviations for books of the Bible, capitalization rules for theological terms, etc. Just before my first tour of duty at Moody, editors had collaborated to devise a series of abbreviations for books of the Bible similar to the USPS's state abbreviationstwo letters, no punctuation. So Matthew 5:1 was abbreviated as Mt 5:1. If you see that style in old Moody books, I was there in that era, but not responsible for the idiosyncratic style. Anyway, the Chicago Manual is not an inviolable guide; just the most exhaustive one in existence, and the starting point for most book publishers. Incidentally, Turabianthe ubiquitous guide used for College papers, is a subset of the Chicago Manual. So if you know Turabian, you have an idea what's in the Chicago Manualexcept that the Manual is about ten times as big. 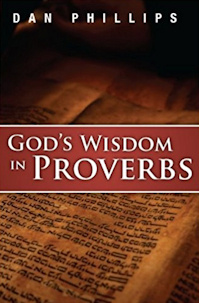 "The cover of the book had the word "God" in big letters where the authors name would normally go. However, the copyright was issued to the organization that did the translation." Copyright law is filled with twists and turns and ambiguities. What the publisher owns in that case is just the translation. The actual content of the Biblethe original "intellectual property"is in the public domain. 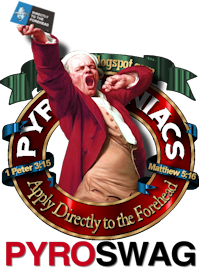 In the US, the KJV is likewise in the public domain, but I believe in England, the KJV was assigned to the crown in perpetuity, back in an era when it was legal to do that. So it will never pass into the public domain in the UK. I'm not sure whether that has ever been enforced in court or not, but there it is. If a book under copyright is translated into a second language, the author still owns the rights to the book itself, but the translator might retain rights to that particular translation. I agree with you about the silliness of putting "God" where the author's name goes. My starting-place suggestion to you is to familiarize yourself with the matters of copyright and the Chicago style manual which fall into the category of "common knowledge" -- i.e., they have a wikipedia entry to help you with your basic understanding of the subject. This is an eye opener. One would think editing involves simply going through a draft to correct grammar and tweek things around for coherence and smooth continuity, but that is just the very last touch up phase. I will stick with software development. It's much easier and saner. I'm familiar with those posts. I'm wondering -- since you would agree with me that these sections of Scripture define the Gospel for us, would you offer any particular insight into 1Cor 15:1-4 relating to what it means? For example, does the phrase "Christ died for our sins" have any particular meaning (the posts you linked to say it does), or is there a problem with understanding what that phrase means. "Actually that may be a huge understatement. It is without question the most provocative book John MacArthur has written since The Gospel According to Jesus"
Even compared to "Hard To Believe"? Phil, according to the process you described you are not the "editor" of Rev. MacArthur's books, but, rather, his ghost writer -- he then edits and gives input to what *you* have put together from the themes you find in his sermons. You are the principal author of the words of the books (and for the most part they are worthwhile books). "One would think editing involves simply going through a draft to correct grammar and tweek things around for coherence and smooth continuity, but that is just the very last touch up phase"
Yes, one would think that because that is essentially what editors do in regard to authors that write their own material. Again, the process that Phil described is really that of a ghost writer not an editor. Vermigli: "Ghostwriter" is a loaded term, fraught with lots of dark overtones and misunderstanding. And there's more than one meaning to the word. I would regard pure ghostwriting as morally shady—when the actual ideas and content essentially originate in the mind and through the labors of the ghostwriter, and then a celebrity is listed as author for the sake of generating book sales. Another type of work often called "ghostwriting" is the "as told to" style of autobiography, where the author tells his life story to a writer, who puts it in words. That's a legitimate practice with a long history. What I do is a degree removed from even that. I am in no sense (as you say) "the principal author." Contrary to what you implied, John MacArthur does actually research and write his "own material." He preaches from an exhaustive set of notes, practically a manuscript. No one writes that material for him or does his research. What he writes, then preaches, is the substance of the books. What you have described as "what editors do" is actually what the final copy-editors do. If you want to learn something of what book editors do, you should read the biography of Max Perkins. He was Scribners' chief editor during that company's golden years. He discovered and published such literary giants as F. Scott Fitzgerald, Ernest Hemingway, Thomas Wolfe, and several others. Virtually every great author of that era wanted Perkins as his or her editor. When Perkins first met Wolfe, Wolfe had a massive albeit disorganized manuscript, largely autobiographical in nature, which he had been working on in an undisciplined fashion for years and kept in an orange crate. He basically dumped the whole thing on Perkins's desk. Most editors would have thrown it away. Perkins read it and recognized Wolfe's genius and edited all that material down and produced Look Homeward, Angel, Wolfe's first published work. Perkins did similar work on all of Wolfe's best novels. A measure of Perkins's skill is seen in the fact that after his death, Hemingway never again achieved his former success as a writer. Perkins would never have allowed anyone to characterize what he did as "ghostwriting." It really wasn't. It was very heavy editing, and he did indeed deserve much credit for his authors' greatness. But he did not produce plots, characters, or ideas for his authors. He was the quintessential book editor, and the man who defined what the job ought to be. What I do is of a similar nature (though I am not .001 percent as good at it as Perkins was). Like Perkins, however, I refuse to have it characterized as "ghostwriting." Besides, technically, a "ghostwriter" remains anonymous and uncredited. MacArthur has consistently given me credit for the work I do, usually in the acknowledgements page or elsewhere. Here, for example, is the credit line he put in Twelve Extraordinary Women: "I am grateful for and indebted to Phil Johnson, who has again, as so often before, applied his remarkable editorial skills to my material. For this book, he has done far more than that, by adding his own rich insights to those chapters where my meager material was inadequate." Actually, he gives me more credit than I deserve. But neither he nor I have ever made any secret about the collaborative process on his books. I'm hardly "ghostly." The Wiki entry on "ghostwriter" is a pretty fair article, I think. Note carefully the line, "Strictly speaking, if the less famous writer's role and name are clearly acknowledged in the work as published, this is not ghostwriting but collaboration." My name doesn't link (directly) to my true website, so here it is in case any wanted to learn more about the book I did with Rick Holland. This is fascinating because there are some similarities to software development. I would love to read about the process of putting together the Study Bible, which I am sure was a lot different from other books and presented a whole different set of challenges. Are there any publications which did not originate from John MacArthur's sermons, but purely from his writings? Looks good! Now write something about justification. I think a better question would be, does Pastor MacArthur ever preach anything other than what he writes. The process that I understand from my father(who worked at Grace To You), what Phil is saying here, and what I have heard from John MacArthur is that, John writes out his lesson. He has far more written than what he even ends up preaching. John edits down his writting to come up with his sermon. 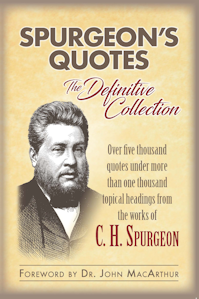 Turning sermons into books is not a new practice from what I understand(i.e. sermon on the mount). Phil said: What I do is a degree removed from even that. I am in no sense (as you say) "the principal author." Contrary to what you implied, John MacArthur does actually research and write his "own material." He preaches from an exhaustive set of notes, practically a manuscript. No one writes that material for him or does his research. What he writes, then preaches, is the substance of the books. If anyone doubts this, they ought to read what JM says about sermon preparation in Rediscovering Expository Preaching. I was stunned by how much work goes into each sermon--more work, I would guess, than many books get. Actually, Jamie's dad has himself edited some of John MacArthur's sermons into books. He actually did the bulk of the original editorial work on Our Sufficiency in Christ, (look in the acknowledgements; he's there), and then he handed it off to me for the final stages. After that, if I recall correctly, he also edited a few more books in the paperback series. BTW, just for clarity's sake: I don't edit everything John MacArthur publishes. The books I do edit are usually the major hardcover releases. Most of the smaller-format books and paperbacks are assembled by other editors from John MacArthur's sermons. Also, I have no involvement in the editorial process for the commentaries. Dave Douglass was the pioneer editor on The MacArthur New Testament Commentary series and did all of them for nearly 15 years. Now there are two editors, Garry Knussman and Dave Enos, who edit that series. It's a huge, virtually full-time, nonstop job. It's also very tedious and (because it is deadline-driven) stressful. Still, if there's any question about who really creates the actual material, all you have to do is listen to a tape on any given passage of the NT and read along in the corresponding commentary. It'll give you new appreciation for how thorough John MacArthur is in his sermon preparation, and at the same time, it will also let you see how substantial is the contribution these editors make. Looks like I missed some exciting action here at TeamPyro while I was gone at the International Christian Retail Show (formerly Christian Booksellers Association) convention in Denver. Phil said, "I also don't want to reveal details of the book prematurely. The publisher hasn't even had a decent chance to look at it. Several more editors will all have a go at it between now and Christmas." Phil, just make sure the editors at Thomas Nelson don't water down the book in the name of making it more palatable. Given their reputation, I'm surprised they haven't edited the stronger stuff out of the Bibles they publish. Phil said: "Now there are two editors, Garry Knussman and Dave Enos, who edit that series." So that's what Dave Enos is up to these days. I've often wondered how he's doing. Thanks for that tidbit, Phil. As one writer to another, I've always been impressed with your command of the language. There must be something out there of which you feel you have authoritative knowledge with which you could produce a manuscript. 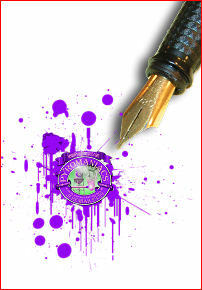 This blog is proof-positive you are not a typical editor, captive only to the words of others. OTOH, I encouraged Robert Darden to the same, and his book on Gospel music has sold at least eight copies. Phil, I'm looking forward to the book. I really enjoyed what MacArthur preached at the Shepherds' Conference 2 years ago regarding Jude with specific applicaton to what is going on in evangelicalism. Should be awesome! John McArthur coming out against something! Shocking! What's he for again? What is MacArthur for? Look at the title of the book..."Truth War"
His whole ministry has been characterized with the promotion and defense of the truth. When you are for truth you are automatically against a lot. "Ghostwriting" is a common practice, even (especially?) among Christian celebrities. And there are different degrees of it, where the named author contributes nothing to contributing quite a bit of the ideas and research. I didn't imply anything "shady" about it, simply that the process that you described was essentially that of a ghostwriter not an editor. Indeed, if anything, Rev. MacArthur appears to be your editor with general thematic content being provided as well -- you are the principal author of the actual words as they appear in the books you work on for Rev. MacArthur. He then goes over it and tells you where it needs to be revised -- *that* is what an editor does, not the principal author, as you well know. The ghostwriting process of Rev. MacArthur's books is known by a number of persons, as well as the fact that you are his ghostwriter. Rev. MacArthur has celebrity status (for lack of better terms) in the Christian community and if the book you wrote had your name on it then the book would not sell anywhere near the amount it would as it does with Rev. MacArthur's name on the cover. This is simply pure business sense, and in the event anyone gets lost in the fog of discussion the bottom line is the bottom line -- even for "Christian" publishers (most of whom are owned by secular corporations). I am looking forward to the book on pomoism, as I concur with your observations and insights into that literary disease completely. I know I should let Phil respond to your comment because you directed it to him. Yet I cannot help but respond as well. What Phil does for John MacArthur does not constitute ghostwriting. If you listen to John's sermons and compare them to the contents of his books, you'll see that the contents really do come from John. Granted, I'm sure Phil at times adds bits of text here and there to supplement John, but that's a normal aspect of editorial work. On any given book Phil has quite a wealth of material from John to work with, with substantive structure and content already provided. There are different types of editing, and the range runs from copyediting (the really minor stuff) to substantive editing (overhauling paragraphs, rearranging chapters, etc.). Phil's editing for John lands comfortably within that spectrum. What Phil does is not authorial in nature at all, and therefore cannot be categorized as any type of ghostwriting. Based on the type of work Phil does, no publishing house would consider Phil a ghostwriter. At the end of your comment you stated, "Rev. MacArthur has celebrity status (for lack of better terms) in the Christian community and if the book you wrote had your name on it then the book would not sell anywhere near the amount it would as it does with Rev. MacArthur's name on the cover. This is simply pure business sense...."
Because Phil doesn't write John's books, this scenario most definitely does not apply here. But, as long as you bring it up, I may as well say that while there are some publishers who engage this practice, that doesn't mean it's condoned throughout the Christian publishing industry. There are some--including myself--who feel strongly that this practice is dishonest and should be prohibited. Vermigli, have you listened to MacArthur's sermons AND read his books? Anyone who has done that should know that those are MacArthur's words and his personality coming through written words, not someone else's. I am NOT a MacArthur fan in any shape or form, but what Phil is saying is true. Do you know who Mel White is? He was the ghost writer who worked with Billy Graham, Jerry Falwell, Pat Robertson, and Oliver North and his work was known only to few before he came out of the closet. Phil's role in MacArthur's publications is very public and well documented. See: The comments here underscore why I took such pains to clarify my terminology. You see also why I think the term "ghostwriter" has connotations that obscure rather than clarify what it is that I actually do. I don't think Vermigli is disputing anything I have said about the process by which John MacArthur's books are written. His quibble is with the meaning of the terms "ghostwriter" and "primary author." He's employing the very definitions I (and whoever wrote the wiki entry) have emphatically eschewed. He's pedantically pressing some alternate definitions. Here's what it boils down to: Is the "primary author" the guy who researches and writes the original material from which everything else is derived, or the guy who writes the first draft of the prose as it appears in the finished book? I say it's the former. I suspect most people familiar with copyright law would emphatically agree. But an English teacher concerned about students not getting help with their writing is likely to take the opposite position. That's how Vermigli is using the term. He's basically taking the schoolmarm definition. Is a "ghostwriter" someone who authors material for someone without any acknowledgement (which is what the expression "ghost" refers toas the Wiki entry I linked to points out)or does the word apply to anyone who puts someone else's thoughts into polished prose? I say the former; Vermigli is insisting on the latter, and no doubt he is prepared to show that his view is supported by a few dictionaries. An argument over terminology like that isn't profitable. Perpetuating a dispute about words in a context like that only gives the false impression that there's something disreputable going on that's worth arguing about. I'm happy to let Vermigli define "ghostwriter" and "primary author" any way he wants. He did clearly say he isn't suggesting that something improper is being done. But I would appreciate it if people would refrain from applying terms like "ghostwriter" and "primary author" to me without at least acknowledging that I think terms like that are imprecise, beset with false connotations, and therefore inappropriate. And I would vigorously disavow their connotations. An anti-pomo like Vermigli will surely appreciate my concern about terminological precision. Hopefully he'll respect it. I know you won't be reading this ~ due to time constraints ~ but, thanks for explaining the process of producing John's books. It was much as I and others at Grace suspected. It's no surprise to hear his mental processes and communicative adroitness are as acute as you describe. In my estimation Phil is a great example of humility. I believe Phil could in fact write a book that would sell. His popular blog sites over the year(s) prove my point. Certainly subject matter often determines how popular a book gets. John's reputation over the years gives him a wide spread audience. Phil is not concerned about making his own name great...So he's taken this lesser role (for lack of a better description) and made John's stuff even better. If you can not praise God for this ministry you have major issues. Ult. it is not about Phil or John it's all about the Lord Jesus Christ and "it's all about the truth." Many Assoc. Pastors know exactly what this ministry support role is all about. Dennis Conner is a great example of this. I guess some people would call Assoc. Pastors "ghost ministers" because they make Senior Pastors shine. Thanks for this blog Phil!